The simple act of browsing the internet results in temporary electronic copies being created in a computer’s memory. There is special provision in the Copyright Act that clarifies that this type of copying does not infringe copyright in the work if the reproduction is transient or incidental and it has no independent economic significance. Such copying must be an integral and essential part of a technological process for making or receiving a communication that does not infringe copyright or enable the lawful use of or lawful dealing in the work. Storing certain copyright works on a computer is a form of copying as defined under copyright law. Educational establishments are given special permission under the Copyright Act to store webpages for educational purposes of students and teachers. The stored material must be displayed under a separate frame or identifier, and the name of the institution and date of storage is noted. The author (if known) and source of the work must be identified. Access must be password protected and the institution must delete the stored webpage within a reasonable time once it is no longer relevant to the course for which it was stored. This particular permitted use does not extend to allowing webpages or the content on them to be printed for supply to students or others. Open access refers to the availability of online scholarly research that is free of restrictions on access and can be read, downloaded, copied and distributed without most copyright and licensing restrictions. Open access is applied to a range of published research output, including peer-reviewed academic journal articles and theses. The open access licensing model exists within the constraints of normal copyright law, meaning authors generally still retain their right to be properly attributed and for their work to be reproduced faithfully. Usually there is no licence fee charged for access or use of open access content, but there will be terms and conditions that apply to such licences which must be adhered to. For example, materials may be free to download and print provided they are only used for personal, non-commercial or education purposes or as long as the author is properly credited. For more information, see Australasian Open Access Strategy Group (AOASG) website https:/aoasg.org.au. Copyright applies to New Zealand government material including Ministry of Education materials and content on government websites. This type of material is usually covered by Crown copyright and some of it is available under open access licence. 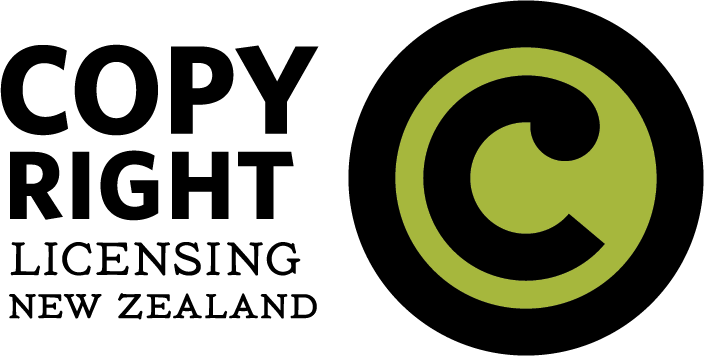 The New Zealand Government Open Access and Licensing framework (NZGOAL) provides guidance for government agencies to follow when releasing copyright works (and non-copyright material) for re-use by others. NZGOAL seeks to standardise the licensing of government copyright works for re-use using Creative Commons licences and recommends the use of ‘no-known rights’ statements for non-copyright material which make it clear that there is no copyright-related restriction on re-use of the material. Several tertiary education providers in New Zealand have developed online courses known as massive open online courses (MOOCs). MOOCs deliver learning materials for free via the internet. MOOCs embody the open access philosophy because information is freely accessible to any person that wants to participate. This means users are not required to pay course fees. For more information, see www.mooc-list.com. Creative Commons is an organisation that has developed a standardised set of six open access licences known as Creative Commons licences. Some creators use these licences to give broad rights in their digital material to the public without users needing to ask. All Creative Commons licences require users to acknowledge the author. The Attribution licence is the broadest licence, allowing third parties to copy, distribute, display or perform the licensed work and derivative works based upon it, provided there is acknowledgement of the author. Other licences limit third party use to “non-commercial purposes”, prohibit derivative works or require users to share their works under the same Creative Commons licence. Teachers, students and researchers who wish to make use of content available under a Creative Commons licence, or wish to make their own work available this way should understand the rights and restrictions under the particular licence. Using Creative Commons may not suit all authors or all situations, as it removes the flexibility to tailor licence terms to specific requirements, for example, to limit the licence to specific groups, uses or time frames. In addition, the licences are irrevocable for the term of copyright. This means that once content is covered by a Creative Commons licence, the author (and their estate) have diminished control over how the copyright may be exploited. More information can be found at the Creative Commons website.